We will be once again be exhibiting AutoSock at this year’s Emergency Service Show (Stand 506). The show is taking place from Wednesday 21st to Thursday 22nd November at Stoneleigh Park, Warwickshire. Please note that this show is for emergency and resilience professionals only - it is NOT open to the general public. 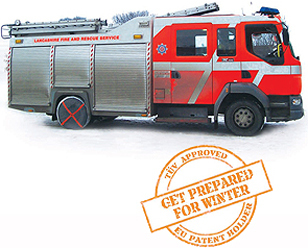 AutoSock is used by most ambulance services in the UK, and by several police services and fire and rescue services.